The number of disenchanted teachers who quit the classroom last year has soared to a record 50,000, shocking new figures reveal today. The figure is the highest since records were first kept in 1997 and means the country will need an extra 160,000 teachers over the next three years to stave off a staffing crisis. Applications to teach fell by 21,000 compared to last year as the number of those wanting to join the profession plunged in every region of the country. Experts estimate that the problem could leave the nation short of 65,000 teachers by 2018. But the number of primary and secondary school pupils is expected to grow by 582,000 by 2020. In the 12 months to November 2014, a total of 49,120 teachers left the job, according to an analysis carried out by Labour of official Department for Education statistics. David Cameron may have generated a few headlines recently when he argued, in an article in the Times, that for those advocating gender equality “there has been a recent slew of good news”. But the reality is somewhat different. Let’s start with the fact that, in the last ten years, the number of women forced out of their jobs – either when they become pregnant or on their return to work after giving birth – has almost doubled. That was the upshot of a controversial new report on workplace discrimination published by the Government on Friday. If you missed the news, that was exactly what the Government was hoping. Timing its release for the fag end of the week MPs deserted Westminster for the summer, most in a state of exhaustion, was a cynical attempt by the Tories to bury bad news. And make no mistake – for working women, this report was very bad news indeed. Notwithstanding its rather clunky title, “Pregnancy and Maternity-Related Discrimination and Disadvantage“, the paper included some shocking findings. Interviews with more than 3,200 women about their experiences of being pregnant at work, or returning to their jobs after giving birth, found that 11% reported having been dismissed, forced to take redundancy or treated so badly that they felt they had no choice but to resign. According to the Equality and Human Rights Commission, which co-commissioned the research, assuming that these trends are replicated across the entire workforce means that as many as 54,000 new mothers in the UK may be forced out of their jobs each year. But what few seemed to notice was that the new figures showed we are moving in the exact opposite direction of progress. Ten years ago, the Equal Opportunities Commission produced a similar report on maternity rights in the workplace, with the much more snappy title of “Greater Expectations”. That report estimated that the number of pregnant women and new mums forced out of their jobs was around 30,000 each year. Ten years on, the number is close to twice that. If you’re one of those people that gets a bit vocal about politics, you’ll be interested to know that your Facebook, Twitter and personal blog are about to begin being monitored for references to the Government. Ministers announced yesterday that the Government had awarded a contract to five companies who will monitor what people tweet, post to Facebook or blog about the Government and provide updates to Whitehall in real time. Officials and ministers will provide a list of keywords and topics to the companies so that they know what to monitor. As pointed out by @refuted, the Treasury’s claim that a recent anti-workfare social media storm was “unacceptable intimidation” comes just days after an Upper Tribunal judge endorsed this kind of criticism as “legitimate political expression”. The comments came after news broke that Bristol IT company Byteback had pulled out of workfare a week after being visited by George Osborne to sing the praises of the scheme. Hundreds of people had contacted Byteback on social media expressing dismay at their involvement in forced work after some fierce questioning from @andygale on twitter caused them to refer to their unpaid workers as ’employees of the state’. Shortly after this bombardment, and in a huge embarrassment for Osborne, Byteback apologised for their involvement in his grubby scheme and promised “no more involvement ever with workfare”. David Cameron’s flagship Big Society Network is being investigated by the Charity Commission over allegations that it misused government funding and made inappropriate payments to its directors – including a Tory donor. The organisation, which was launched by the Prime Minister in 2010, was given at least £2.5 million of National Lottery funding and public-sector grants despite having no record of charitable activity. The Independent has learnt that it has now been wound up, having used much of the money on projects that came nowhere near delivering on their promised objectives. Two senior figures on government grant awarding bodies have also made allegations that they were pressured into handing over money to the Big Society Network despite severe reservations about the viability of the projects they were being asked to support. Liam Black, a former trustee of Nesta, which was then a public body sponsored by the Department for Business, said Nesta had been “forced” to give grants that totalled £480,000 to the Big Society Network in 2010 without a competitive pitch. He described it as a “scandalous waste of money”. Another senior figure involved in the decision to award £299,800 from the Cabinet Office to the organisation said the funding request had initially been turned down. The vindictiveness of our Conservative-led government knows no bounds. Not only has the government cut a man’s state benefits after he was diagnosed with cancer, but its supporters then attacked him in the local newspaper’s comment column – even though they knew nothing about his situation. 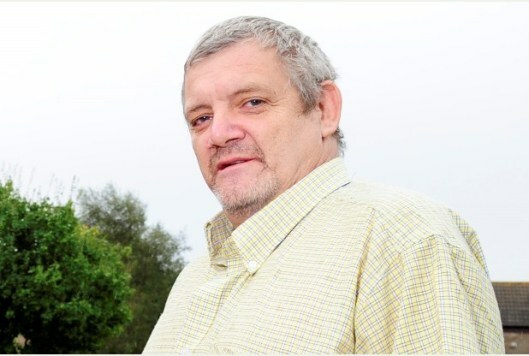 The gentleman concerned is Pete Woodcock of Scunthorpe who, according to a report in the Scunthorpe Telegraph, has been unemployed for around eight years. Rather than sit around, he has spent his time volunteering in the community – for up to 40 hours per week – while also job hunting. 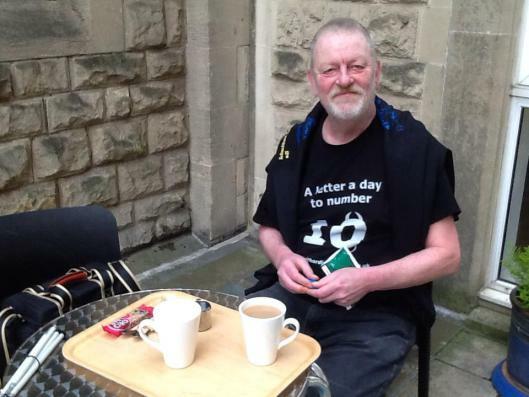 But when his doctors told him he had cancer, DWP officials cut his benefit money by 40 per cent (from £140 per week to £84). This is because attending hospital on both sides of the Humber meant he was unable to attend job clubs and had to claim a sickness benefit instead. Energising: Keith Lindsay-Cameron prepares to take his case to the police. An activist from Somerset is raising his own ‘Shoestring Army’ to crowdsource funds and mount a legal challenge against the government’s new Claimant Commitment for jobseekers, after police said they were unable to arrest Iain Duncan Smith and Lord Freud for breaching the Human Rights Act. Keith Lindsay-Cameron, of Peasedown St John, near Bath, was advised to obtain the services of a solicitor and raise a legal challenge in the courts after he made his complaint at Bath police station on Friday (May 2).